Over the years, this appetizer has become a staple at every family gathering. It’s hot, it’s cheesy, it’s melty. In a word-gluttonous! Put it on crackers, chips, bread, or, when no one is watching, just pick up a spoon! But enough about the flavor factor. This appetizer is really easy to make and the recipe is just as easy to remember: cup, cup, cup, can. Even with grating my own cheese, I was able to have this dip in the oven in just over 4 minutes. How is that for a fast prep time? Even better, this dish can be made days in advance and stored in the refrigerator until you are ready to cook it. I’ve actually make this dish and put it in smaller ramekins and cooked it in my office toaster oven for an office party. Preheat oven to 375 degrees. Mix all ingredients together until well incorporated. 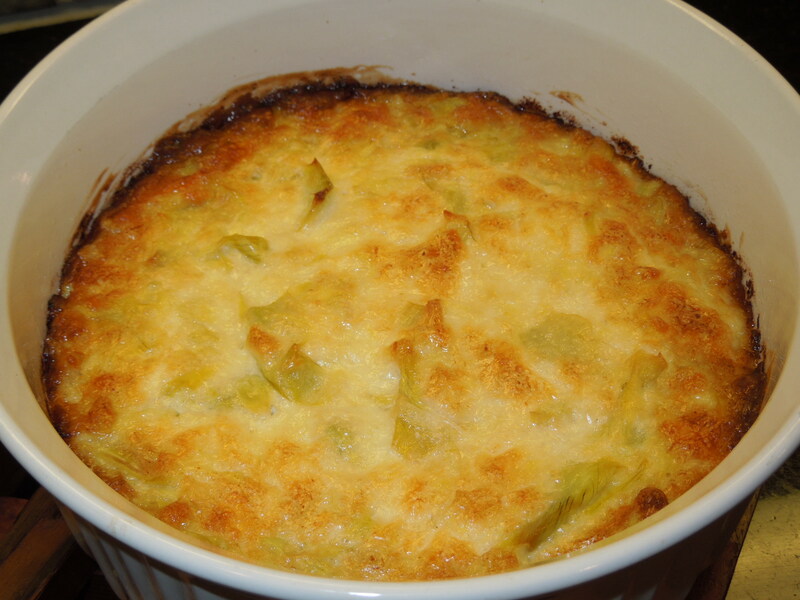 Place mixture in an ungreased cassarole dish and cook in the oven approximately 35-40 minutes or until top is starting to brown and the dip is bubbling. Serve with crackers, chips, french bread, pita chips, etc. Variations: This dish is really easy to trick out the way you like it. I personally like to add a little garlic, tomato and basil but make it your own. If you like a little spice, maybe you could put in some diced jalapenos and serve this dip with tortilla chips. Or if you like more greek faire, perhaps some black olives, tomato, basil and feta served with fresh pita. Have fun with it. With this hot, bubbly, cheesy mess, you really can’t miss! 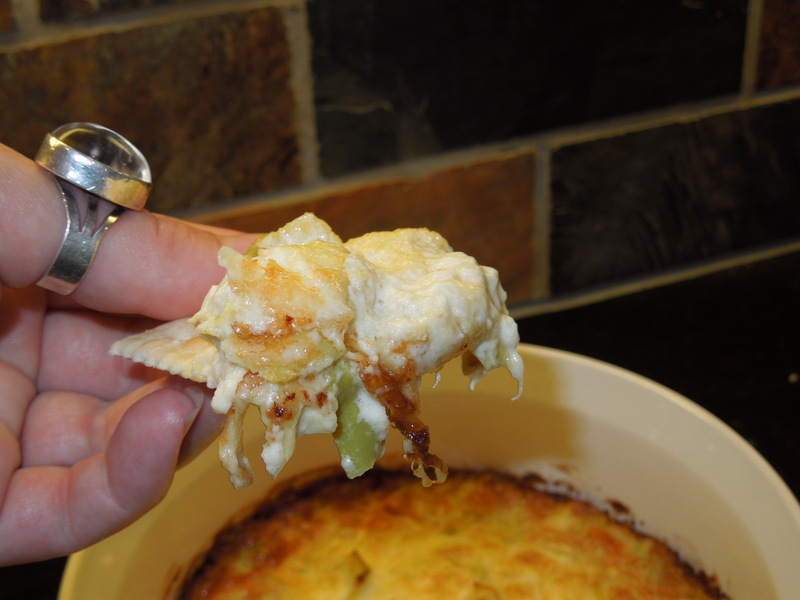 Tags: appetizer, artichoke dip, cheese dip, diabetic friendly recipe, easy appetizer, easy party recipe, fast prep time, food, hot appetizer, hot artichoke dip, hot dip, hot party dish, make ahead appetizer, make ahead dish, no equipment appetizer, party dish, reicpes. Bookmark the permalink. Previous post ← You had me at “gooey”….